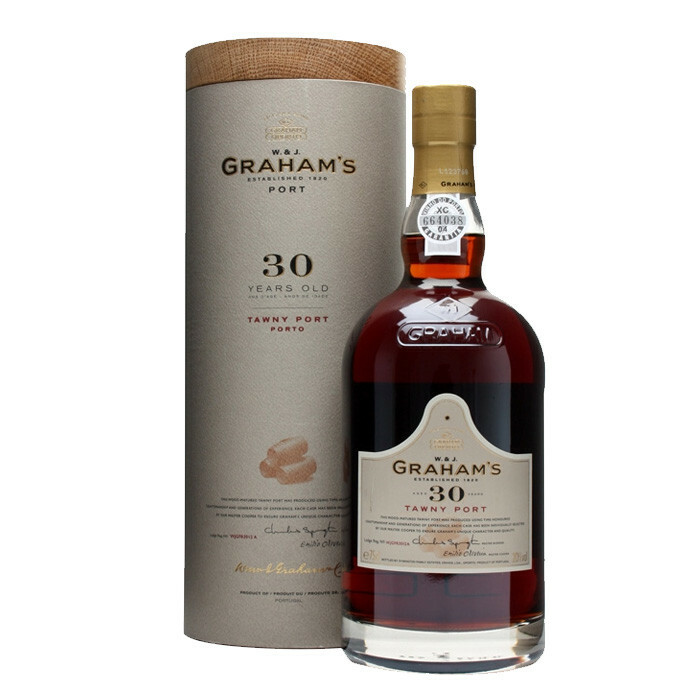 A 30-year-old tawny port from Graham's, matured in oak casks for a concentrated flavour with more restrained sweetness than in younger wines. Light, orange-tinted amber color, magnificent perfumed nose with great class showing an array of dried fruits. Outstanding mature concentrated palate with full honeyed fruit, gorgeously mellowed. Simply delicious with an aftertaste that lasts and lasts. An excellent alternative to Vintage Port at less formal occasions.